Ahhh ha ha ha, I Can Has Cheezburger is doing our work for us… there’s been so many lately – perhaps the Great Old One rises this X-mas, bringing holiday cheer, and sanity-blasting horror? Ha ha ha, very nice photo! Hee! 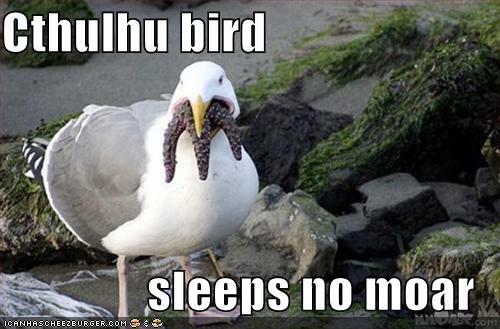 Would that be birdithulhu?